While this handset did not launch on November 26 as expected, the latest rumors claim it will hit the market in January. 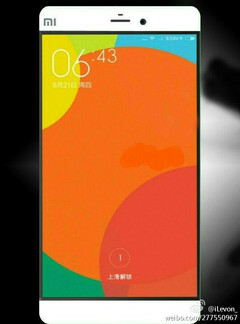 The Xiaomi Mi 5 flagship should have been around already if most of the rumors about it had been confirmed. Unfortunately, the handset did not show up last week, when the Chinese phone maker unleashed the Redmi Note 3 and Mi Pad 2. However, it looks like Xiaomi CEO Lei Jun is already using the Mi 5 and the smartphone will be officially unveiled next month. Chinese analyst Pan Jiutang says Xiaomi Mi 5 is going to be officially unveiled in January 2016 and will hit the market in February. According to him, Xiaomi is already stocking up on the Mi 5, so they expect to face a huge demand once sales begin. Obviously, these have not been confirmed by the company so far. Previous rumors mentioned that Xiaomi Mi 5 has a 5.3-inch Quad HD display, a Qualcomm Snapdragon 820 processor with 4 GB RAM and 16 GB or 64 GB internal storage, 16 MP main camera, as well as a 3000 mAh battery. The price is expected to be around $400 USD.